Campagne di Roma olim latium Patrimonium S. Petri. 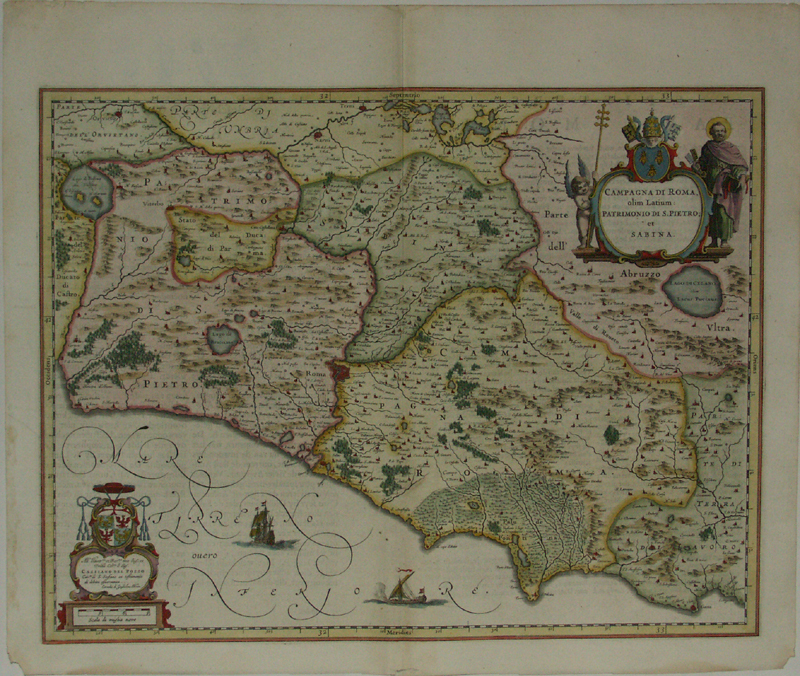 Nice map of Rome and surroundings with in the bottom left corner a cartouche containing the dedication to Cassiano del Pozzo. Slight browned on the fold. Verso Dutch text [Rrr].